What is builder grade vinyl siding? When you start shopping for vinyl siding you will here people talk about builder grade vinyl siding. That is siding that is commonly used by new construction builders on new houses. Generally a grade or so above the 'economy grade' but still competitively priced for budget minded homeowners. Lots of styles and colors are available. Comes in different textures from smooth to cedar grain. Usually a little thicker than economy siding. The affordable, versatile and easy maintenance benefits of Coventry by Alside have made it one of the most popular siding choices available. Performance-engineered for superb durability. Coventry incorporates essential design features to deliver outstanding protection for your home. Coventry's heavy-duty construction is fortified with a rolled-top nailing hem to provide an extra-strong wall attachment. Once it's installed, the finished look makes a powerful statement abut the quality of your siding. Available in three classic profile widths. 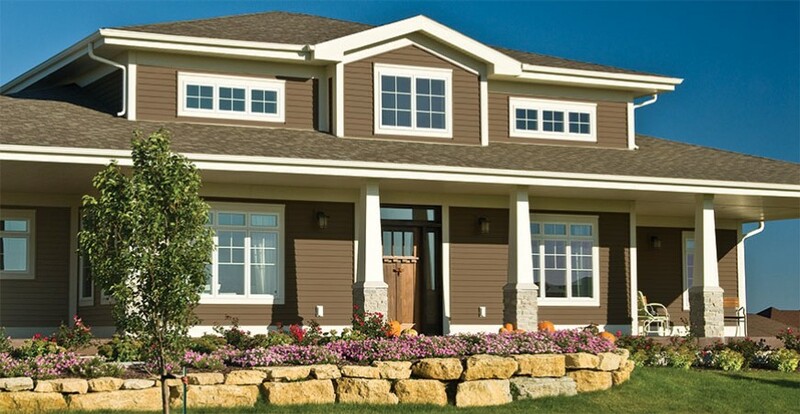 Builder grade vinyl siding comes in all the more popular profiles, types, styles and colors. Alside has 20 contemporary colors to choose from. It even comes in different textures, from smooth to cedar-grain finish. And it never needs painting! When someone talks about builder grade vinyl siding they are usually referring to a good affordable siding that is durable yet has quality workmanship built in. Some of these siding have lifetime warranties. When you tell a contractor that you are interested in a builder grade siding he automatically knows that you are look for a good quality, economical vinyl siding that the features of some of the more expensive sidings. If you like one of these styles or types of vinyl siding, make a note so you can talk to your contractor about it. Always ask your contractor what he thinks of the siding, he does this type of work everyday, his opinions are very helpful. How much does vinyl siding cost? That depends upon several things. It really saves you a lot time and trouble if you do a little home work before you start calling contractors. To see more information on figuring real costs of installing vinyl siding on your house...click here. To see a quick history of siding click here....Quick History of Siding..
How To Buy Vinyl Siding ...The Easy Way! We want to show you how to buy vinyl siding the easy way. 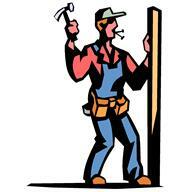 Or at least help you gather the information that you will need when the contractor comes over to sell you vinyl siding. 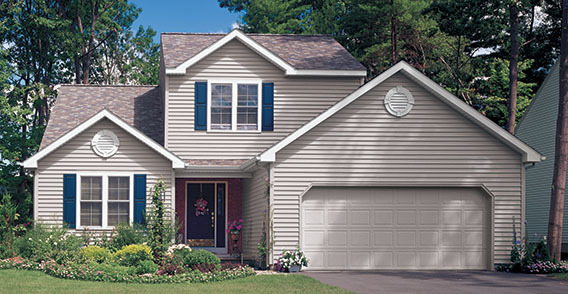 To see more information on How To Buy Vinyl Siding...click here. 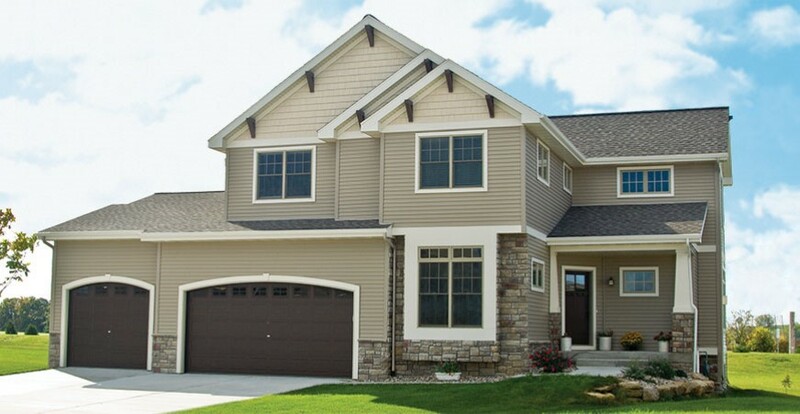 Builder grade vinyl siding is a good choice for most homeowners. It is affordable, versatile, comes in many colors and several different finishes. It is easy to clean, just wash down with the garden hose when needed. It adds a powerful statement to your house not to mention it adds value to your home. All houses look better when they look brand new.